An HP series pneumatic tyre roller. The VIO compaction meter is intended to measure compaction and continuous dynamic compaction control in oscillation mode. Hamm compactors with the letter ‘C’ in their name now hint at a reinforced drive. They can perform well when compacting difficult, cohesive soils. A new dozer blade for Hamm compactors. 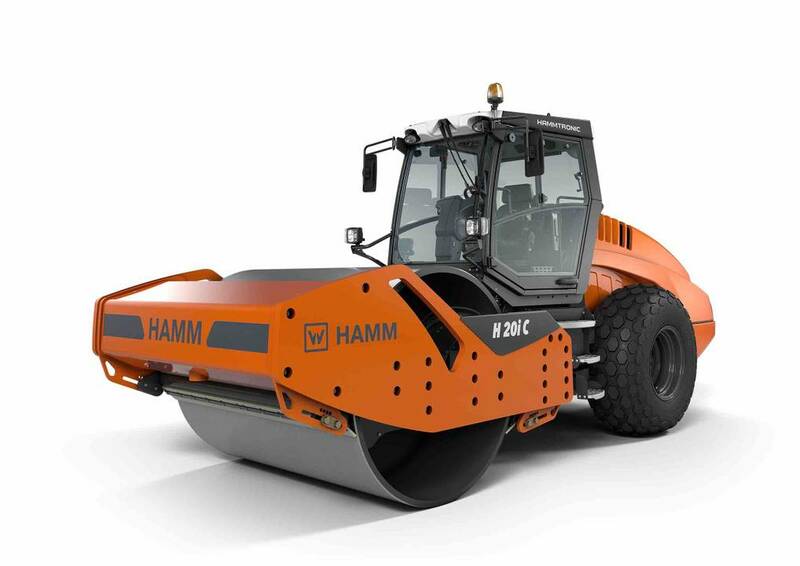 The HP series of pneumatic tyre rollers is one of the world premieres from Hamm, featuring various basic versions (HP 180/HP 180i and HP 280/HP 280i) and operating weights ranging from 8 t to 28 t. Hamm has improved the ballast flexibility with prefabricated ballast body kits available in different weights, and the facility for straightforward self-ballasting. There are also new solutions for water and additive sprinkling, including large tanks; a pressurised filling system as standard; a large additional water tank that can also be used as ballast; and a novel additive preparation process, which is simple and efficient. All of the models will be available worldwide in accordance with the locally demanded weight classes and equipment variants – taking into account local emissions regulations at all times. 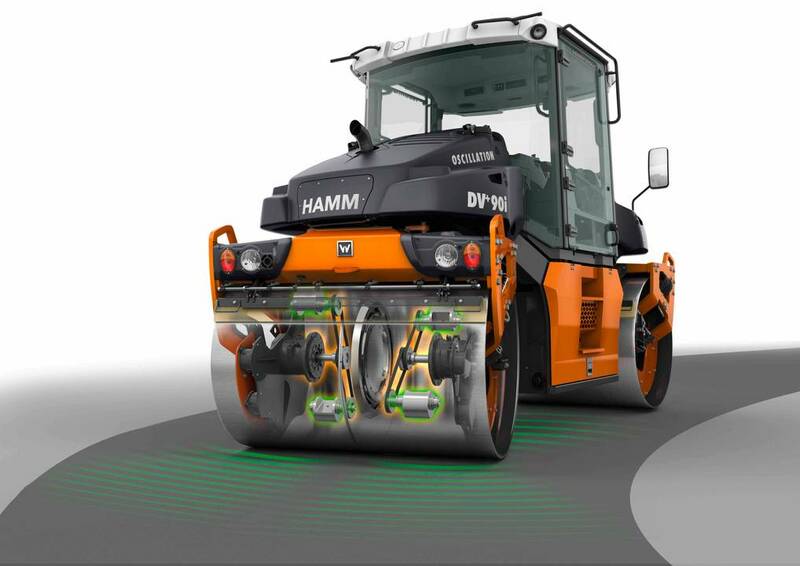 Hamm also offers a wide range of options, from classic features such as the tyre inflation system and the edge pressing and cutting equipment, to new innovations such as anti-slip control for optimum traction. As for oscillation technology, Hamm has developed two innovations: a split oscillation drum and the VIO compaction meter for oscillation. The company has also further optimised the drive concept for oscillation drums, making the next generation of oscillation drums completely maintenance-free. The split oscillation drums combine the benefits of oscillation with the added value of a split drum. Oscillation enables these drums to deliver excellent results for compaction on bridges, of thin layers, in vibration-sensitive areas or at critical temperatures. They are ideally suited to challenging tasks such as compacting difficult-to-compact asphalts and curved sections. A separate, mechanically-independent oscillation unit operates in each half of the split oscillation drums, explained Hamm. An integrated control mechanism adjusts the rotational speeds of each half of the drum to match one another. The synchronisation is done electrohydraulically. Because the system reacts quickly and precisely, synchronous vibration in each of the two drum halves is guaranteed in any situation. This reduces the danger of cracks in or displacement of the asphalt, and is ultimately a great advantage in terms of quality. 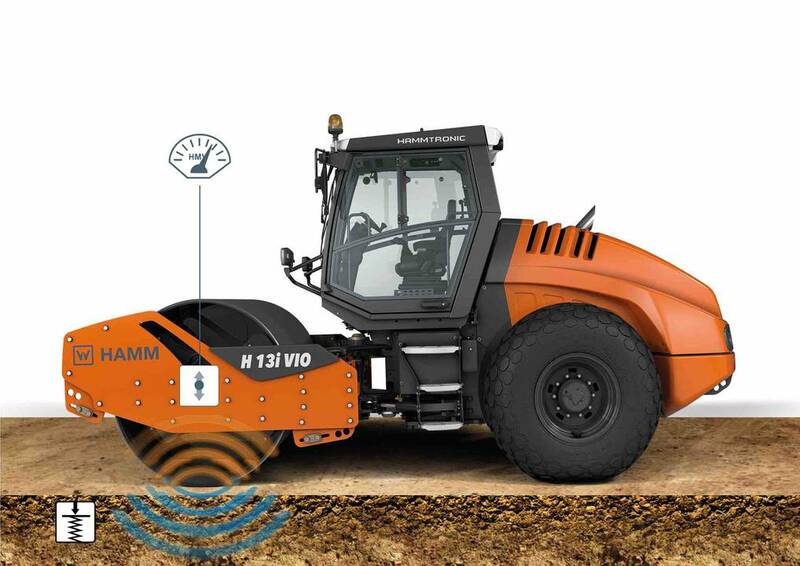 With the VIO compaction meter, Hamm is expanding its range of modules for compaction measurement and documentation. The company is believed to be the only manufacturer offering the ability to measure compaction in oscillation mode. This means that its rollers can document their passes in a traceable way, even for continuous dynamic compaction control applications with oscillation. The system is already available for the H 7i VIO and H 13i VIO compactors. The range of H series compactors is being extended to include the ‘C models’. These machines are fitted with a reinforced hydrostatic drive and provide up to 30% more torque, giving them much better traction and climbing ability than that of the standard models. They are well equipped to deal with heavy earthwork, landfill construction and the compaction of cohesive soils. Despite this, they are still economical, said Hamm. Fuel consumption in the models with and without reinforced drives is almost identical because the same diesel engine is used in each of the rollers. 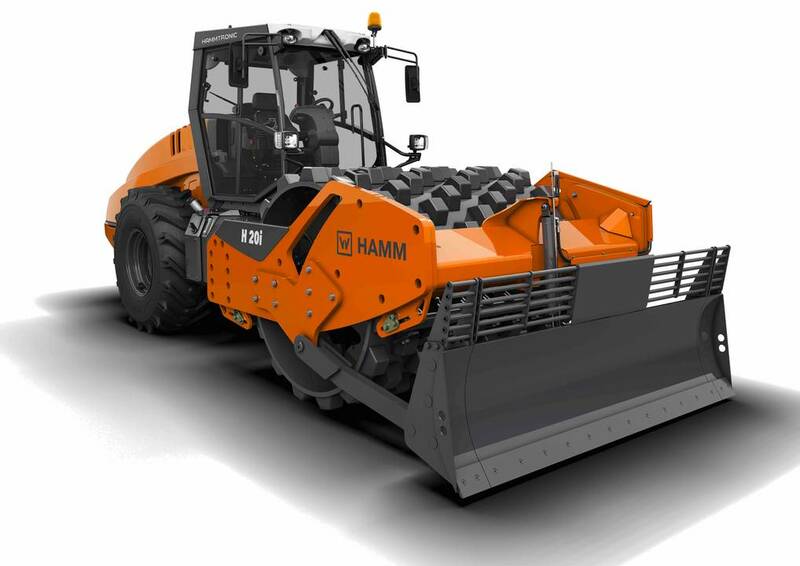 Hamm is also broadening potential applications in earthworks with a new dozer blade for compactors. The geometry of the dozer blade allows more material to be moved and distributed than before, while special skid shoes prevent it from digging into the ground. Moreover, the high-visibility cross member provides an unobstructed view of the area in front of the dozer blade. Two versions of dozer blade are available for H series compactors. 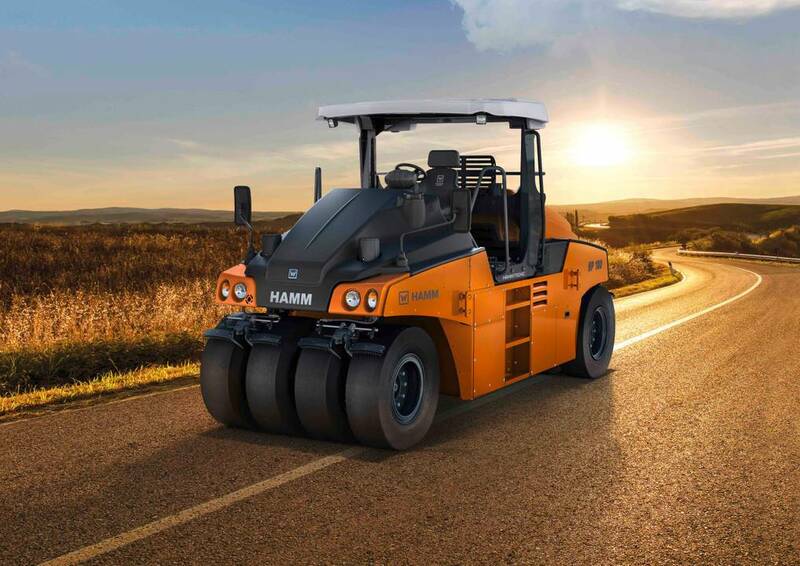 Lastly, Hamm‘s Easy Drive operating concept has been introduced to all new generations of machines: it is now available for all DV+ series tandem rollers and H series compactors, as well as for most HD+ series tandem rollers and HP series pneumatic tyre rollers. It offers machine operators ample clearance, optimum ergonomics and plenty of comfort, apart from advantages such as intuitive and therefore safe user guidance, the shortest possible learning and familiarisation times and an operator’s platform that can be adjusted to practically any body height.